$325 to buy an ACE 1 cook stove to save money spent on fuel as well as to gain access to electricity for extra lighting at night and for charging a mobile device. 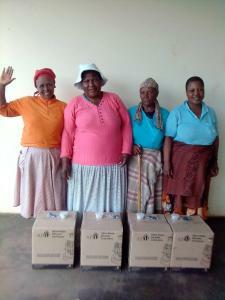 Itumeleng is a 58-year-old hardworking widow. She is a primary school teacher. 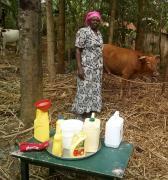 She takes care of her five grandchildren which whom she lives in a multi-bedroom house that has no electricity. Since there is no electricity in her village, Itumeleng says she struggles to get her mobile device charged and has to travel 4 kilometers every day to a charging station. She has to pay mobile device charging fees of LSL80 every month per phone. Additionally, Itumeleng depends fully on an open fire as her means of cooking and says she struggles to gather firewood. The other three ladies in her group say the ACE 1 cook stove is going to help them save a lot of money that they spend on fuel every month. The ACE 1 clean cook-stove is biomass and solar powered. For more information on the ACE1 cook stove please visit www.africancleanenergy.com and Facebook @African Clean Energy. Loan use to buy an ACE 1 cook stove to save money spent on fuel as well as to gain access to electricity for extra lighting at night and for charging a mobile device.